likes the way you think. Happy Belated Valentine’s Day everyone! 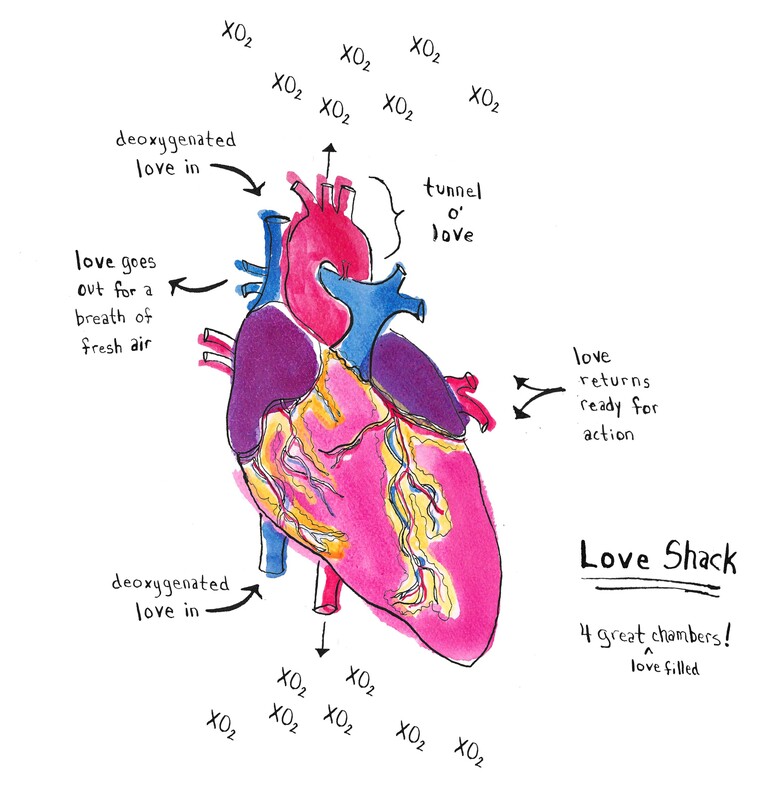 Last week was a slew of anatomical hearts. 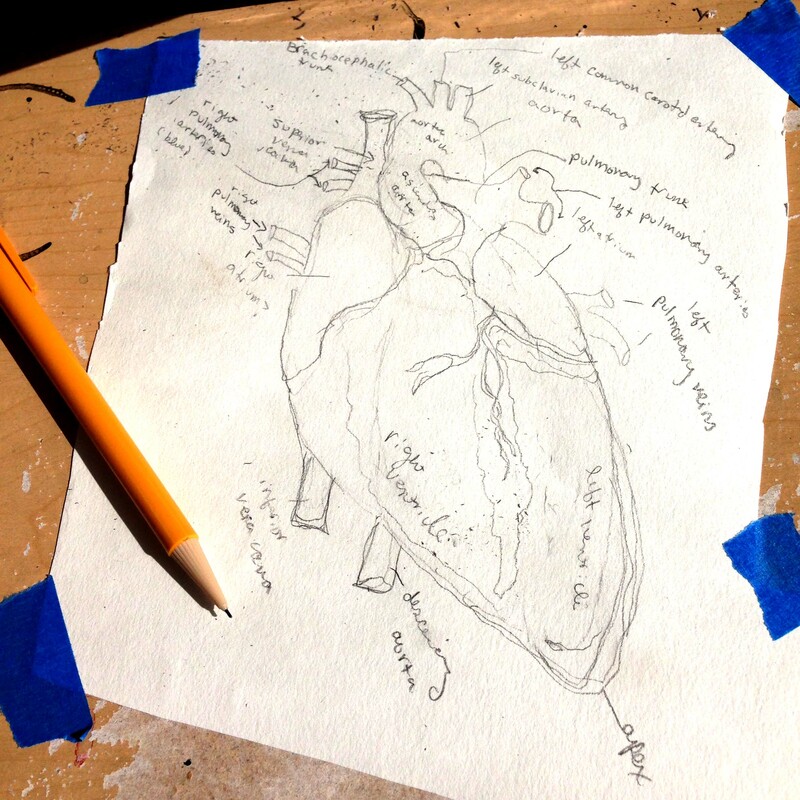 Getting into the spirit, I drew an anatomical heart greeting card. 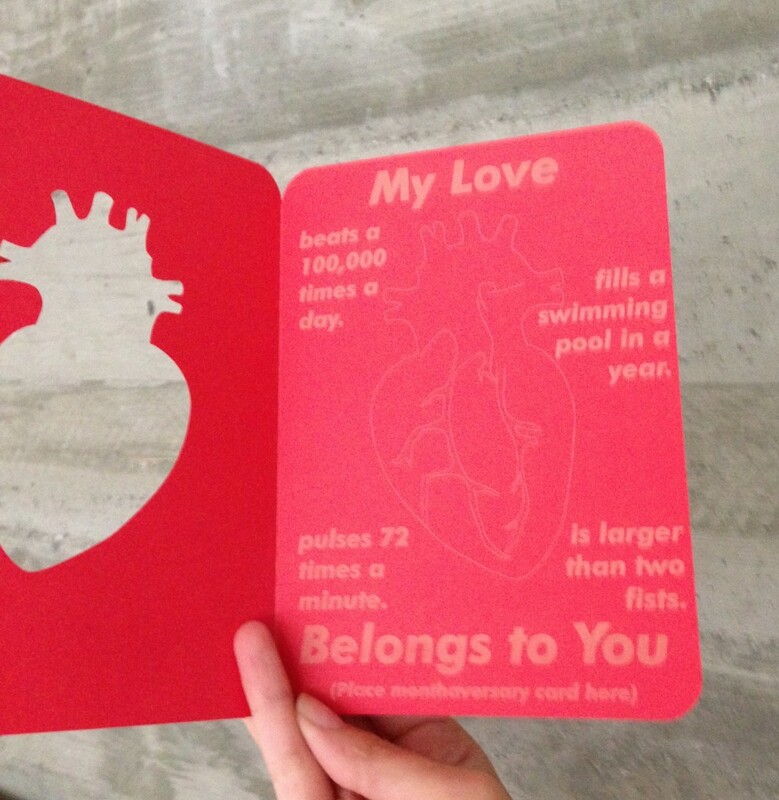 My boyfriend swears he wasn’t copying me when he presented me with an anatomical heart card a day later – laser cut and engraved on a beautiful red card stock, no less, with a teaser promising another card in 10 days time. 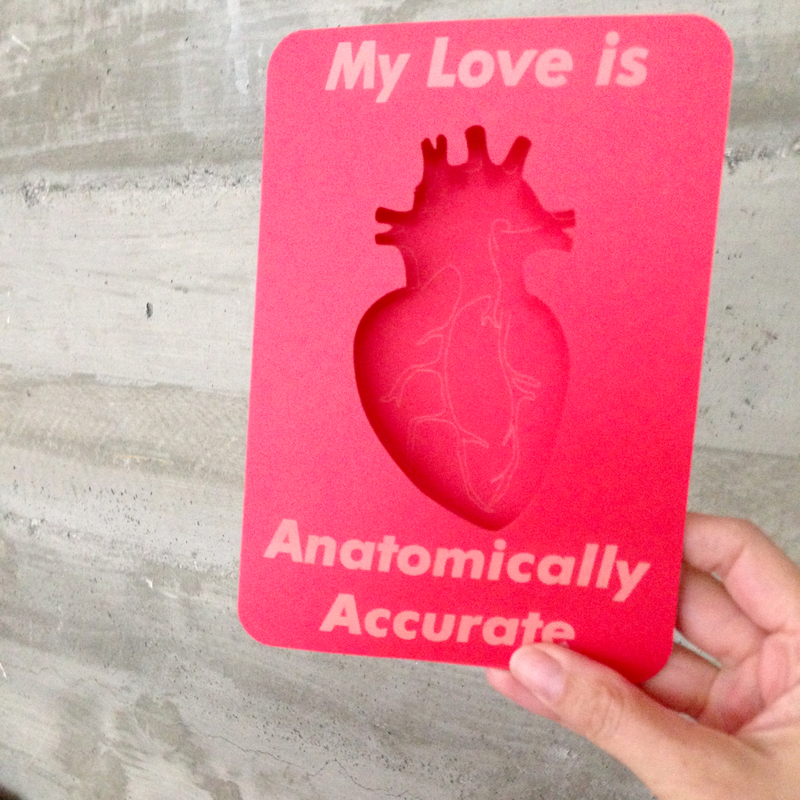 And to top off the anatomical hearts, I saw Jo Boyer’s heart-filled solo show, and was both blown away and tickled by all her takes on the anatomical heart. 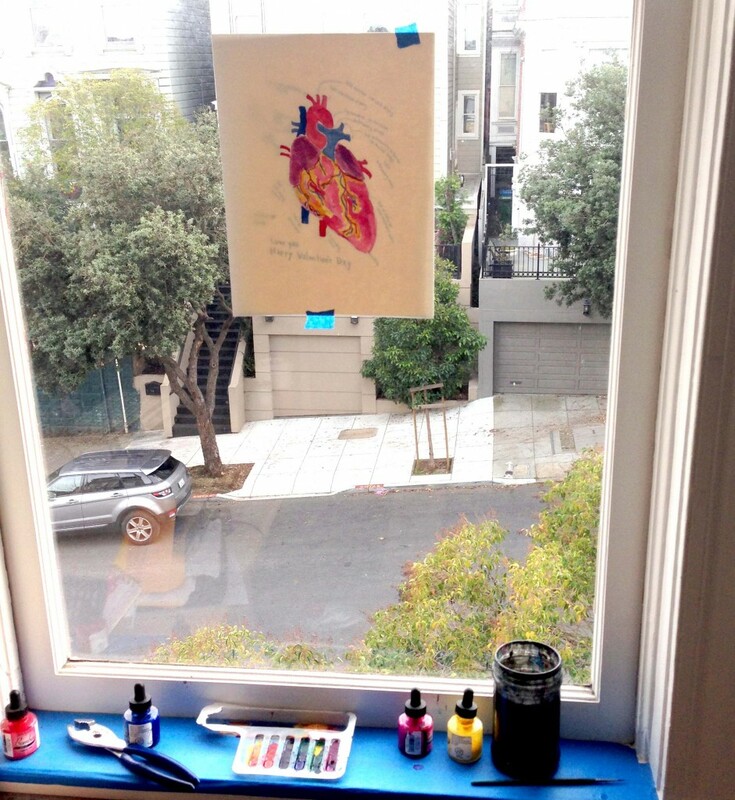 Check out pictures of these hearts below, starting out with some process pics. I don’t think I’ve delved this far into anatomy since Biology 101. I have a light box, but during daylight hours I gravitate to the window. Pliers are to open stubborn ink tops. I swapped out original labels for my own Valentine’s version. Get yours here. 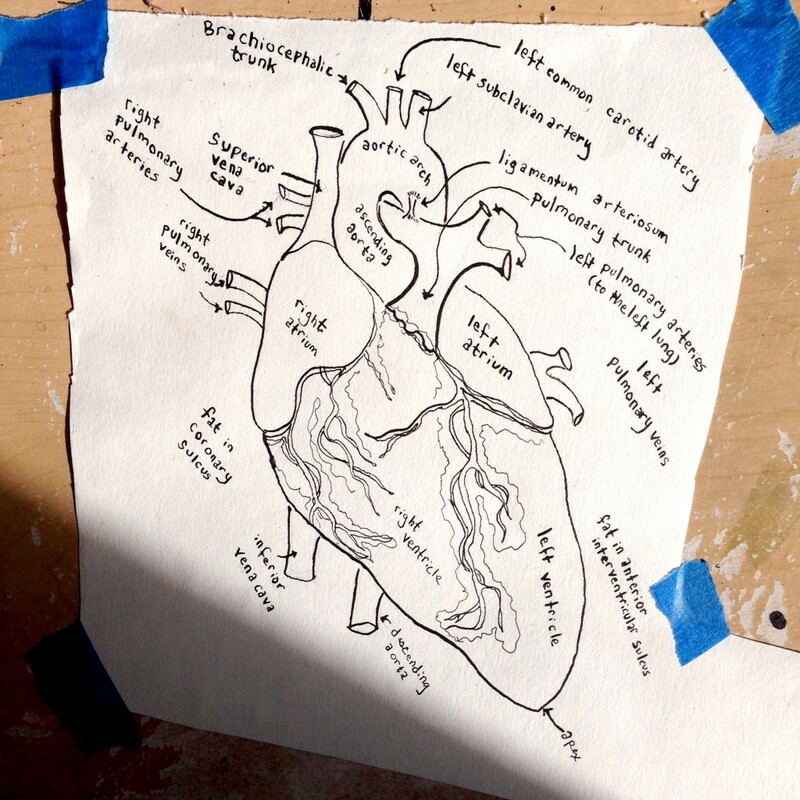 Jo Boyer’s amazing hearts! Vases, lanterns, and not pictured, flasks, and even a knife holder! 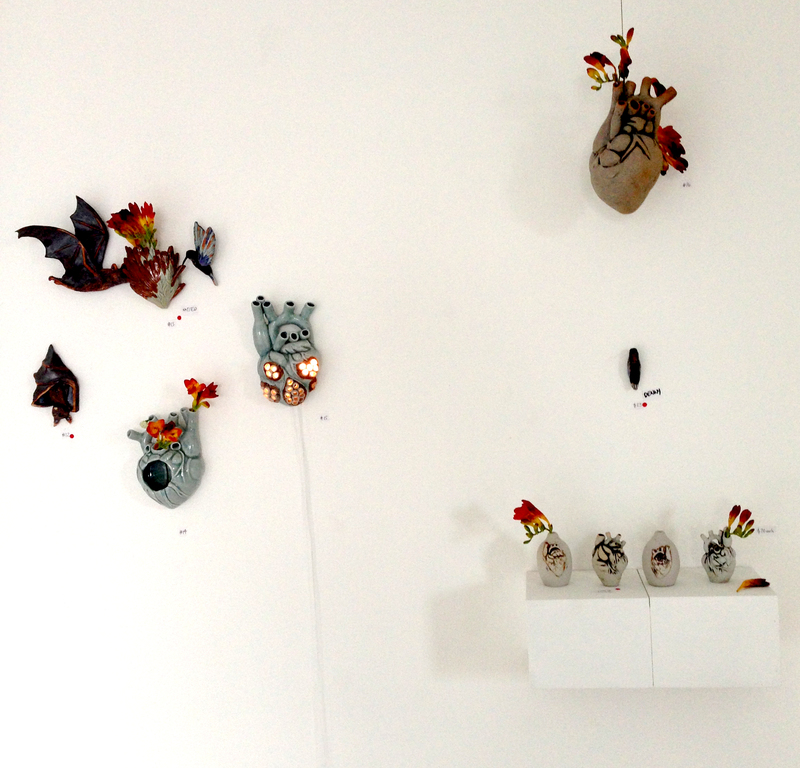 Go see it at Ruby’s Clay Studio (552 Noe Street in SF) before it’s gone. 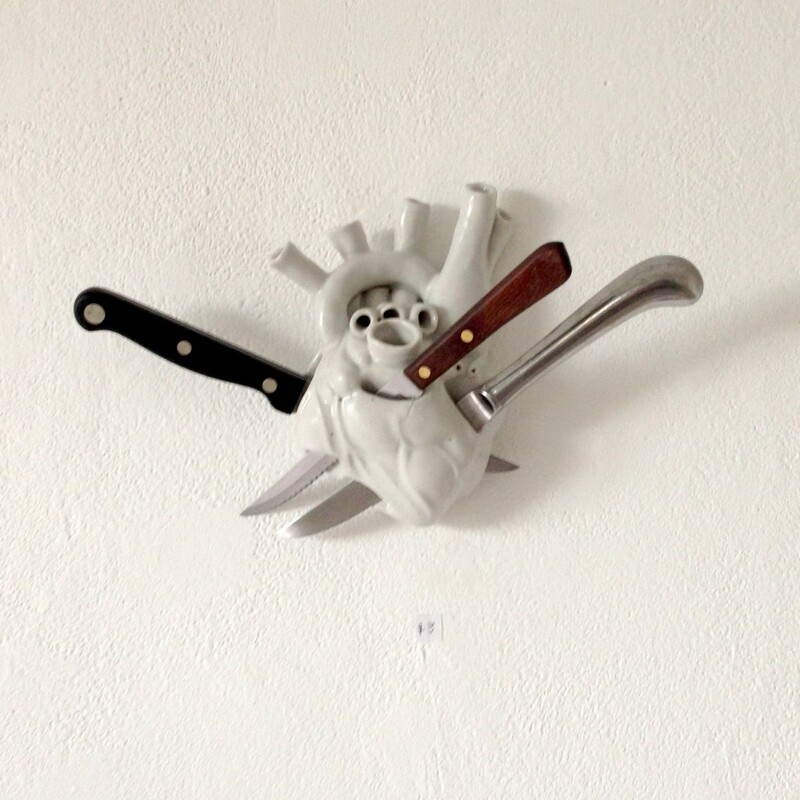 Jo Boyer’s knives. Heart wrenching and practical all at the same time.